By now most of us have gotten used to stories about militant attacks in certain parts of the world so much so that we don’t even give a second thought to the obscure column in which they are printed. Stories of attacks in the West Asian, Maghreb and SAARC belts rarely invite a second look and are often dismissed as everyday events. It is worth noting that terrorist incidents in certain parts of the world invite more sympathy and attention from the public and world media than others. By saying this, the writer in no way means to undermine the value of the lives lost in any of these incidents but an excellent example to illustrate this point would be the media blitzkrieg centered around the ‘Charlie Hebdo’ incident. All contemporary media mediums were abuzz with the latest on the attacks to the extent that even the most poorly connected couldn’t have possibly escaped a bite or two of what was going on at ‘Rue Nicolas Appert’ in Paris. Around the same time, Boko Haram, a militant group responsible for the insurgency in Nigeria, carried out a deadly raid on a village which possibly resulted in the deaths of 2000 people. The mini genocide in Baga (Nigeria) was eclipsed by Charlie Hebdo incident and the former only received some attention when candle marches for the latter had ended. Several other incidents of global violence do not receive as much attention as they should despite their scale and the gravity of the larger issues they stem from. The growing violence between Shia and Sunni (Wahhabi, Salafi) fundamentalist groups is one such trend. While the rivalry is ancient, it can arguably be said that it has been reinvigorated and reinforced for political ends in modern times. An understanding of this divide is crucial for anyone who wishes to come to terms with the complex political dynamics of the West Asian region. The historic rivalry between Iran and Saudi Arabia, the Syrian crisis, the power struggle in Lebanon and Bahrain, the unfolding ‘Houthi’ insurgency in Yemen have all got to do with this divide which dates back to 632AD. History is witness to the fact that empires, kingdoms and communities often succumb to sectarian division when a capable ruler dies without naming a successor. 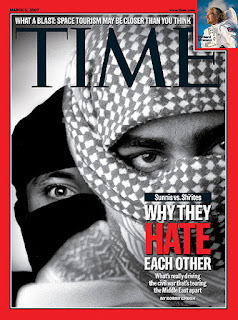 This age old intra Islamic rivalry is no exception. The origins of this schism are rooted in the mid seventh century, a time when Prophet Muhammad’s death had sparked a succession row. The Muslim world was divided on the issue of succession. Those who believed that he should be rightfully succeeded by his cousin and son in law ‘Ali ibn Abi Talib’ are now who we call the Shias and those who vested their faith in his close companion ‘Abu Bakar’ came to be known as the Sunnis. In the centuries that followed, the fissures deepened. 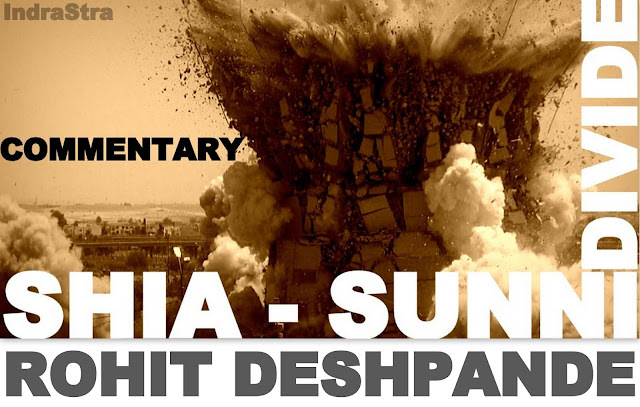 Records of Shias being intentionally targeted date back to the time of the Sunni ‘Umayyad’ and ‘Abbasid’ dynasties. When an ideological divide lasts for centuries it becomes much more than just that, over time it starts acquiring cultural dimensions and separate identities start being forged. 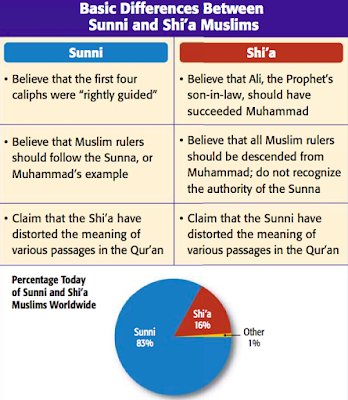 Though exact statistics are hard to come by, it is generally believed that roughly 85% of the world’s Muslims are Sunnis and the rest are Shias. Iran, Iraq, Lebanon, Bahrain, Syria, Yemen have sizable Shia populations and have become hotspots for sectarian violence. Some West Asian analysts believe that until recent times, both groups had co-existed peacefully but not necessarily happily with each other. Their coexistence was possibly out of necessity and circumstance rather than choice. Modern day tensions are a result of the culmination of several factors- some of which will be discussed in this article. A good starting point to analyse this complex equation would be the ‘Skyes-Picot’ agreement drafted by France and the United Kingdom in the midst of the First World War. The allies were concerned about Ottoman support to Germany and the Central Powers so they decided to divide the Ottoman Empire into parts and exercise direct/indirect control over the territories. One common colonial tactic to keep states under control was to keep tensions between different groups simmering – the well-known policy of ‘Divide and Rule’. In this particular case, the French and the British elevated minorities to powerful positions in Iraq and Syria the aftermath of which can still be seen in the region. Apart from factors such as external influence, Shia and Sunni groups have displayed political opportunism and have indulged in sectarian violence when there has been a political prize in the offing. 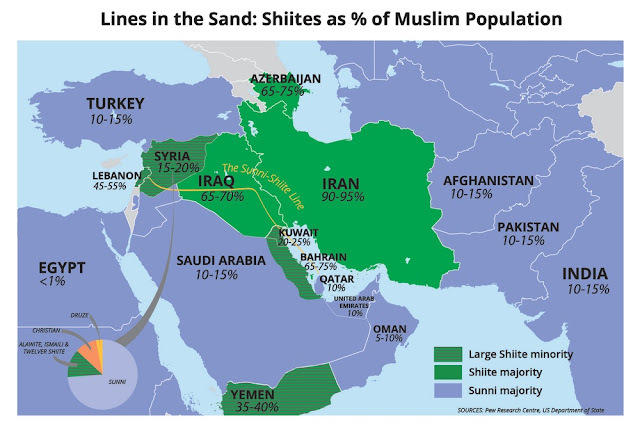 The fight for regional supremacy between Shiite Iran and Sunni-Wahhabi Saudi Arabia has its roots in the in the late 20th century prior to which both groups managed to co-exist without much sectarianism. The Iranian revolution marked the beginning of the rise of Shiite political power in the West Asia. Ayatollah Khomeini took some efforts to quell tensions between Shias and the Sunnis but they did not pay off and relations between both groups still remain tense. Concerned about the possible spillover effects of the Iranian revolution into Iraq, Saddam Hussein, a Sunni ruler of a country with a sizeable Shia population decided to go to war with Iran. He did so hoping that Iran would be vulnerable as it was recovering from the after effects of a revolution. He enjoyed the support of the American and the Saudi government. However, Iran was resilient and the war lasted for eight long years and ended with a UN ceasefire resolution. In hindsight, from the Iranian point of view, the protracted war did more harm than good as it helped the Ayatollah consolidate his position and authority amongst his followers. Since then, both countries have been trying to wrestle control of West Asia from each other. Iran continues to back the Assad regime in Syria, funding rebel groups in Yemen and militant organisations like Hezbollah while Saudi Arabia does everything in its power to contain Iranian influence. Sunni groups have mostly used suicide attacks, car bombing and other asymmetrical tactics to target Shiite population and places of worship. From empirical observation, it can be said that Wahabi Sunni fundamentalists are more disposed to using extreme forms of violence than their Shia counterparts. Pakistan, Syria, Afghanistan have become hotspots of sectarian violence between the two groups. Standing up against American presence in the region has been a hallmark of Iranian foreign policy. Iran wants to be seen not only as the leader of the Shia world but also as the regional super power. Iran has tried to advance its strategic interests by embarking on an ambitious nuclear program- something that has not gone down well with the Sunni regional hegemon Saudi Arabia and the other American all-weather ally Israel. Recent reports suggest that Israel and Saudi Arabia held several secret meetings to discuss Iran and the region’s future. One can say Iran’s rise has made for strange bedfellows as is evident from the coming together of Israel and Saudi Arabia. It also brings to fore the fact that politics of religion trumps the old Arab –Israel rivalry. Iran’s rise in the region will be construed by Saudi as a challenge to Sunni hold over Islam –their very identity. Iran acquiring a nuclear weapon will also be a threat to Saudi regional supremacy. Some analysts are of the opinion that Saudi Arabia has made a back channel deal with Pakistan to acquire readymade nukes as a last resort if Iran crosses the threshold and goes nuclear. Another disturbing development is the addition to ISIS (Islamic State) to this equation who claimed responsibility for the recent suicide attack on a Shia Mosque in Saudi Arabia. Some experts speculate that ISIS may be trying to expand beyond West Asia and is trying to get a foothold in Afghanistan and is responsible for the sporadic attacks on the native Shia Hazara community. 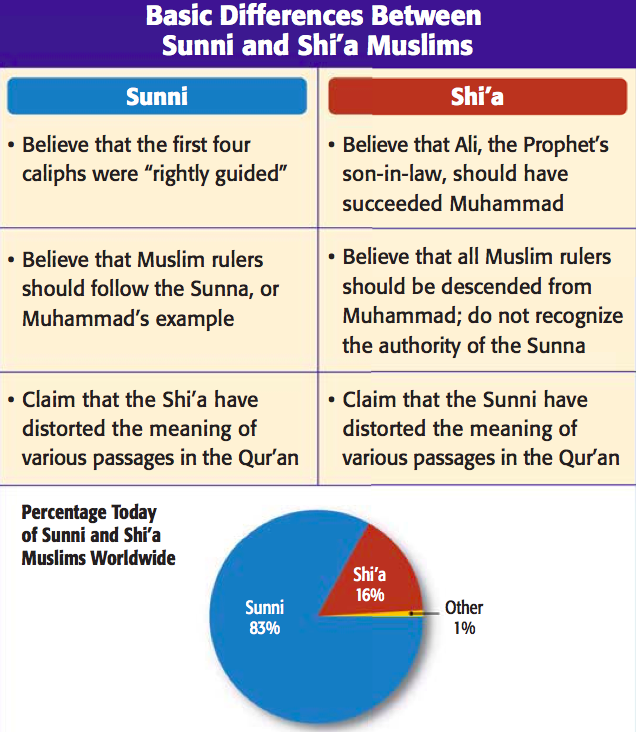 Over the years attempts have been made by several leaders at the individual and the global level to foster harmony between the Shias and the Sunnis. Forums for discussions between clerics of both sects, initiatives like the 2007 Saudi Iran summit need to be encouraged. Politics and religion cannot be separated in Islam so any solution for this issue, however unlikely, will come through discussion amongst the religious and spiritual heads of both sects. In countries where there are significant numbers of Shias and Sunnis, unrest will naturally brew if one sect feels politically left out. This can be avoided by implementing a model similar to the one which Lebanon follows. Lebanon’s population majorly consists of Christians, Shias and Sunnis. Political power is divided such that the president has to be a Maronite Christian, the Prime Minister a Sunni Muslim and the Speaker of the assembly a Shiite. Though not fool proof, this strategy of division of political power can be one of the many measures that can be taken to mitigate tensions between the Shiite and Sunni population.